Winter in New England can get pretty harsh and that means that homes have a whole new number of issues that they need to deal with. 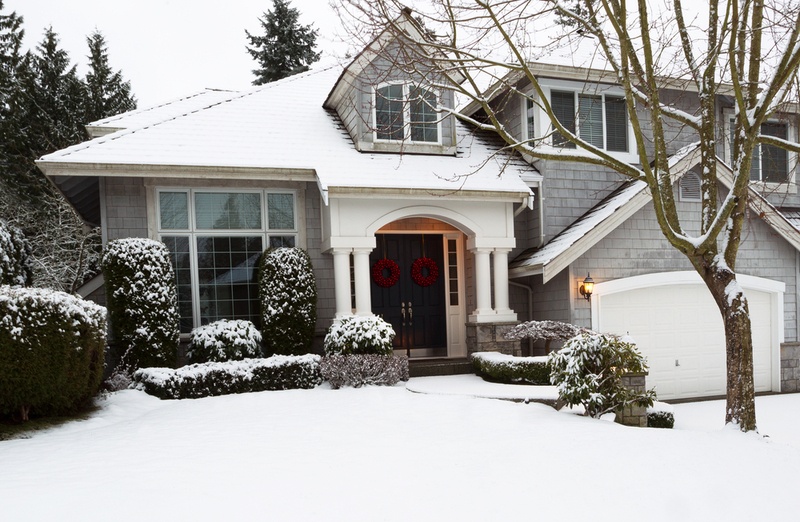 From whipping winds, and ice to freezing rain and snow, follow these importance tips to make sure you and your home are ready for all that winter has to throw at us! 1. Weather Stripping: If your doors and windows leak cold air into the home even when completely shut, you should consider replacing them. But in the mean time invest in some weather stripping. You can find them in almost any hardwood store and it does a great job at being a temporary fix of drafts into your home. 2. Gutter Cleaning: The use of gutters are crucial all year long but they become even more vulnerable during the winter time. Make sure after all the leaves fall that you clean you gutters of leaves, sticks and other debris. If your gutters are clogged during the winter, they are more apt to freeze and cause leaks into your home. 3. Tree Pruning Around The House: Trees always come with the danger of falling but when you have branches hanging over your house, you’re just asking for it! Look around your home and if you see any trees dangling over your house, have them pruned. The extra weight of ice and snow often results in fallen tree limbs which can cause damage your house. 4. Roof Inspection: A damaged roof during the winter will become much much worse throughout the cold season. If your roof has shown any signs of failing, be sure that you get it inspected before the winter. That way, small issues don’t become far worse. Professional Building Services works throughout the winter with new installations on homes roofs, siding, windows, doors and decking! If you notice any damage this winter to your home and it follows any of these buckets, reach out to Professional Building Service. We can be contacted over the phone at 603-898-2977 or through our online contact form.